This football goal has been engineered to be super easy to put up. Once you know what you are doing, you can have the item up from its carrying bag in just one minute. 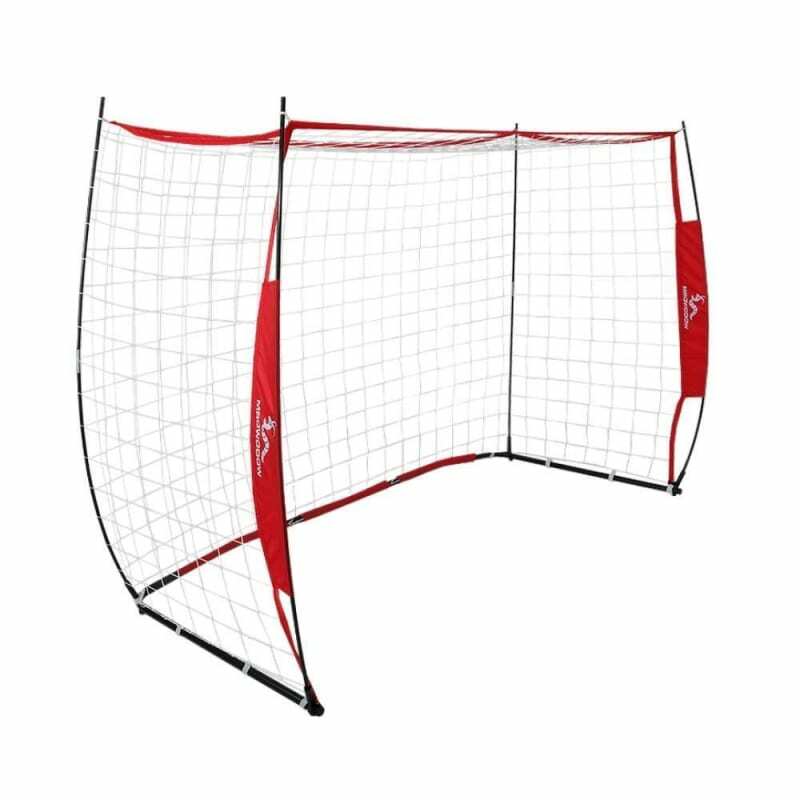 It's a 2.2m x 1.5m practice goal, perfect for skills, drills and practice training. It's lightweight too at just 5kgs, making it easy to move around. 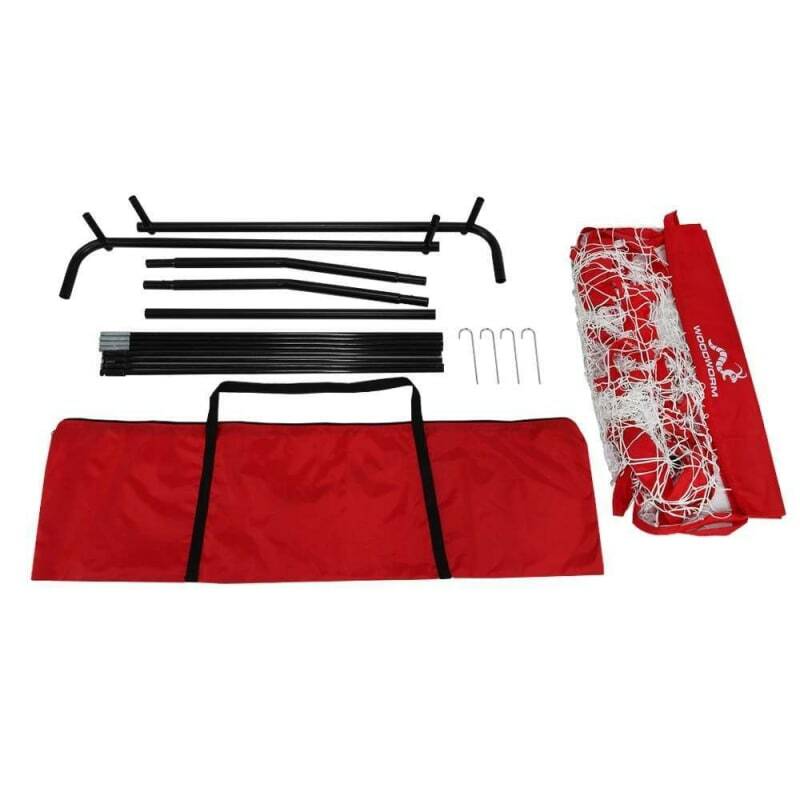 Since it is so lightweight, there's 4 ground anchoring pegs included, though depending on your ground conditions and the strength of your players, you may wish to consider bigger pegs and/or weights. 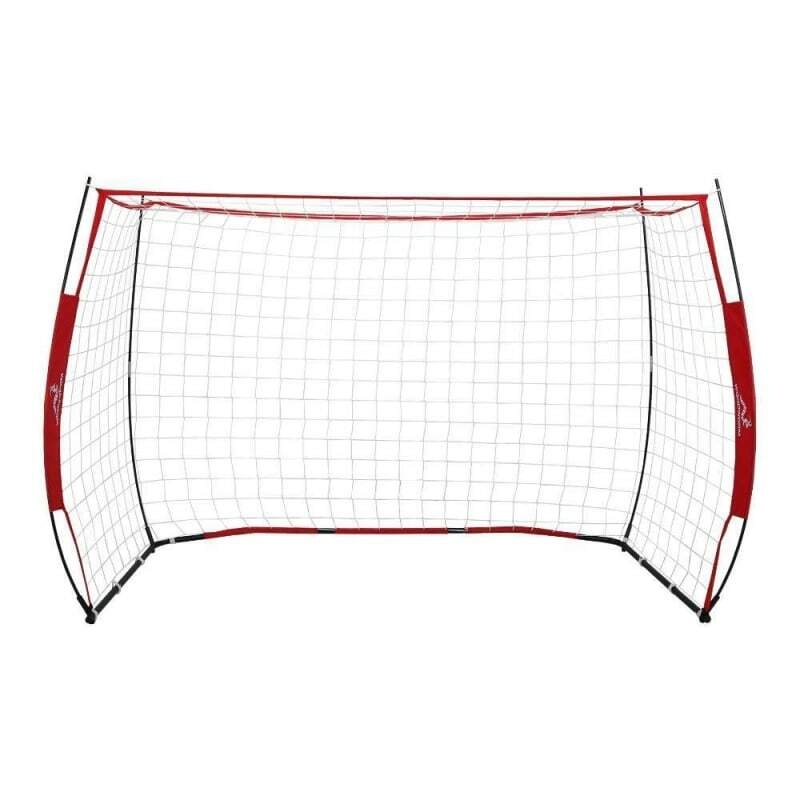 The goal is also durable, with a steel base frame and fiberglass poles, as well as an 38.5kgs breaking strength rated knotless nylon net. We recommend players shoot from at least 10ft away from the goal, and the harder/stronger the shots, the further back you should go. Though it is strong, it is still a lightweight practice goal so be realistic about its use.